Did you know that Alzheimer’s disease affects over 5 million Americans today? Out of that number, 350,000 are Texans. Someone is newly diagnosed with Alzheimer’s every 66 seconds, and current projections indicate that this rate will increase to one new diagnosis every 33 seconds by 2050. According to the Texas Department of State Health Services, the disease is the sixth leading cause of death in the United States, and Texas currently ranks fourth in the number of Alzheimer’s disease cases and second in the number of deaths. 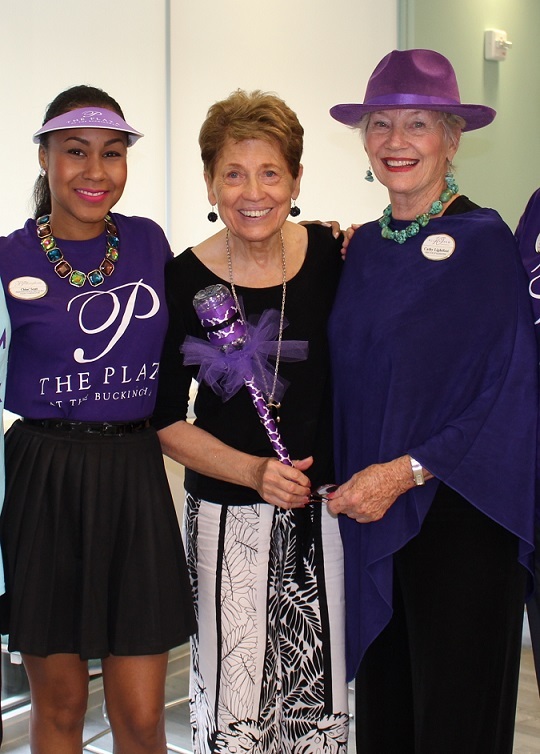 With these sobering statistics in mind, The Buckingham, an SQLC retirement community, is proud to announce it has raised more than $23,000 for the Houston/Southeast Chapter of the Alzheimer’s Association this year. Throughout the past year, residents and team members at the senior living community have been hard at work participating in various fundraising events to show their support for those living with the disease. 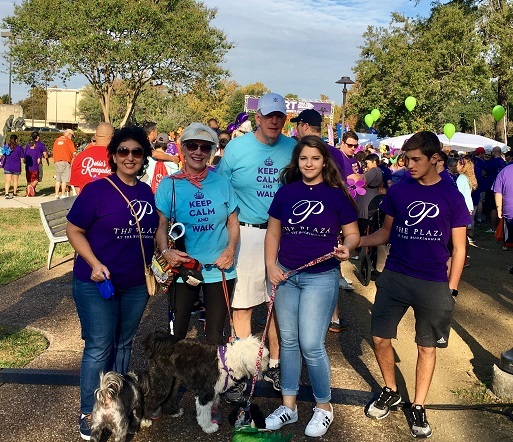 Recently, the community participated in the annual Walk to End Alzheimer’s to raise awareness and funds for the Alzheimer’s Association to support those in the local Houston community affected by the disease. This special event was particularly meaningful as November is National Alzheimer’s Disease Awareness Month, and those participating were reminded of how they can impact the lives of those affected by the disease. In addition to personal donations, the community held a bake sale, silent auction, garage sale, raffles and an Octoberfest dinner. The events had a widespread impact on the community, with support from residents and team members along with their families and those in the local Houston area. The walk was the highlight of this year’s fundraising efforts because The Buckingham had its own team. Additionally, resident Inga Liesner raised nearly $6,000 cooking for an Octoberfest dinner at the community. Liesner donated 100 percent of the proceeds to The Buckingham’s fundraising efforts.